If you are one of the many people that has “heard” things about scuba diving that keeps you as far from the water as possible, you may want to reconsider. While it’s true that scuba diving is a fairly risky past time, it’s also not as dangerous as you might think. Still not buying it? Read on to see the top 5 myths you’ve probably heard about scuba diving completely exposed. Because the definition of “safe” is the complete lack of any danger, threat, or harm, I suppose that scuba diving cannot be coined under this term. However, is there anything you can think of that fits that definition? Even sitting in your chair poses some potential for harm. The key to an accident-free dive is proper preparation. 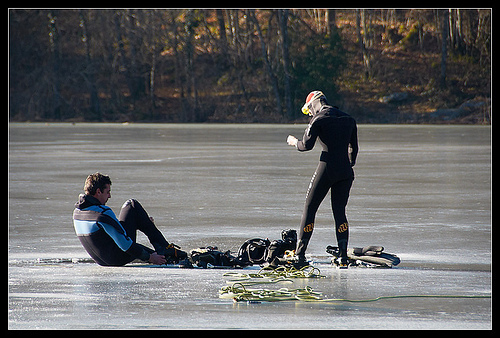 If you are properly prepared beforehand, then aside from the rare occurrence, your dive should be “safe” and enjoyable. One issue with the way diving is perceived is the media’s coverage of it. 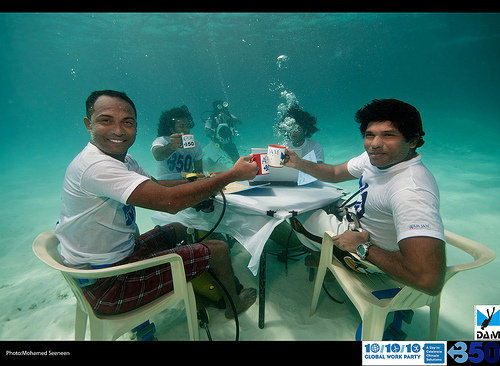 How often do you hear about the exploits of a couple of divers who had an incredibly rewarding experience? Pretty much never; the media chooses to cover the one in a million freak accident that takes place and that is all that people remember. Uh, which leisure activities would you consider to be cheap? Think about it; boating, skiing, fishing, even mountain biking are pretty expensive past times and scuba diving is a pretty even comparison to these cost wise. First you have to get certified- this is so that you are fully prepared to take on the under-sea world. These certifications cost about $250.00 but essentially give you an all access pass to unlimited diving anywhere in the world. The gear can be expensive in terms of your initial investment, but if you only dive occasionally all you need to buy for yourself is a pair of fins, a snorkel and a mask. Everything else is available to rent at a decent price. If you are a diving regular, it would be worth your time and money to invest in your own equipment. Again, the initial investment may make you wince, but the equipment is extremely durable, and with proper care may be a onetime only purchase. Myth #3: I Don’t Live in a Tropical Paradise; Diving’s Out For Me! Nope, think again! Just because you don’t live somewhere surrounded by crystal clear water and coral reefs doesn’t mean you have to completely rule out the idea of scuba diving. If you find water deep enough to dive in, you will find divers; Lake Michigan, California, even a flooded missile silo in Texas. These are just a few of the endless number of sites available in the U.S. alone that can make for a great dive. Not all dive sites are created equal and you may not thoroughly enjoy each one, but it’s likely that the experience will be worthwhile. Try finding nearby lakes, rivers, or quarries to explore and you may be surprised at what they have to offer. Besides, palm trees are overrated anyways. 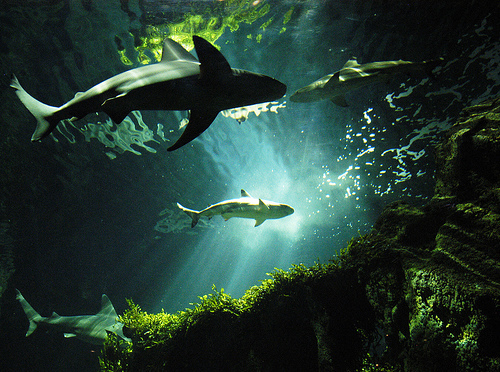 Myth #4: Sharks. Eat. Divers. Remember Jaws? Flattered though you may be to believe that sharks are just swimming around waiting for you, there is not a whole lot of truth to this. 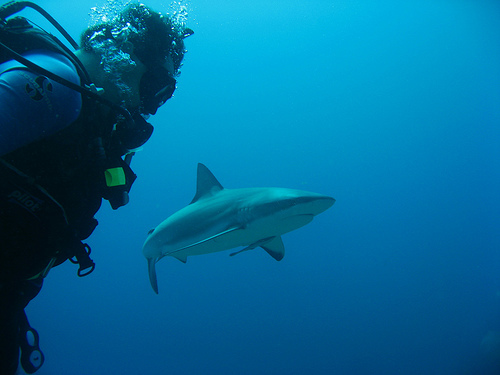 In fact, divers consider a shark sighting a rare treat that most never get to experience. If you look at it from the shark’s point of view, you’ll realize that the smart thing for them to do is stay the heck away. 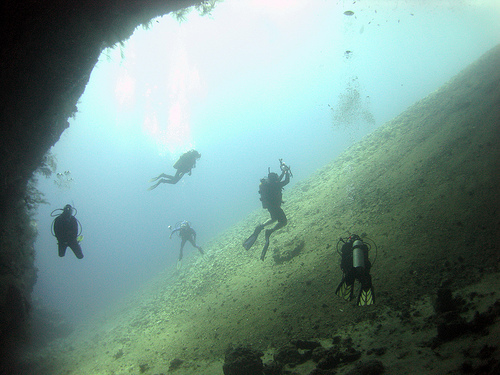 Divers are noisy, create a wall of bubbles, and look and act nothing like anything else you find under the sea. Plus, the fact that Hollywood always portrays sharks as hungry and on the hunt is completely false; sharks only hunt about once every two weeks. If you’re still not convinced, consider this; according to emergency room records, 4.7 million people in the U.S. alone were seriously injured by dogs (cute and furry as they may be). The total number of people recorded for injury by shark; 58. Need I say more? Obviously it helps to be in at least decent shape if you are going to be swimming underwater for a long period of time, but you don’t have to be a body builder. When you are diving, it’s neither a competition nor a race, so as long as you are comfortable being completely submerged in water and have the ability to move in it, you’re good to go. Scuba lessons have the tendency to be a little bit intimidating because they tell you to make sure you are able to swim a certain distance or hold your breath a certain amount of time, but as long as you are comfortable and confident, that’s all that matters. A Little More at Ease? So there you go, I’ve hopefully managed to eliminate at least 5 things from your list of “Reasons Why I Can’t.” When it comes to scuba diving you’ve got to forget what everyone else is saying and just let yourself enjoy the experience. Sure there are dangers, and sure there are plenty of things you should know before diving in head first (ha-ha), but just like with all things in life; the amount of preparation you put into it will determine what you get out of it. 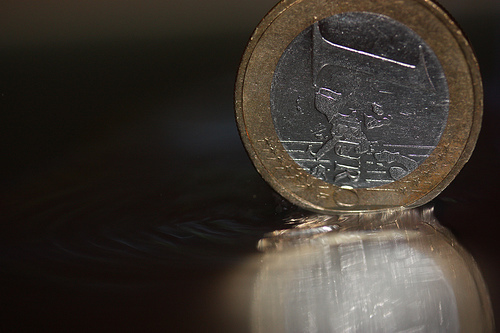 If a scuba diving vacation is on the cards why not look into Europe… or Cyprus to be more exact? The waters are beautiful and the towns are just as great. Coral Bay Cyprus and Pernera are two great options. This entry was posted in Scuba Diving, Water Sports and tagged scuba diving myths. Bookmark the permalink.